What does One Fat Frog love about college football’s bowl season? Pretty much everything: the great matchups, the fact that that you can watch football every day of the week, the bragging rights for your school’s conferences, the parades, and more. What’s not to love? The Florida Citrus Parade, which takes places prior to the Citrus Bowl on New Year’s Day is taking over downtown Orlando right now and One Fat Frog is right there with them. 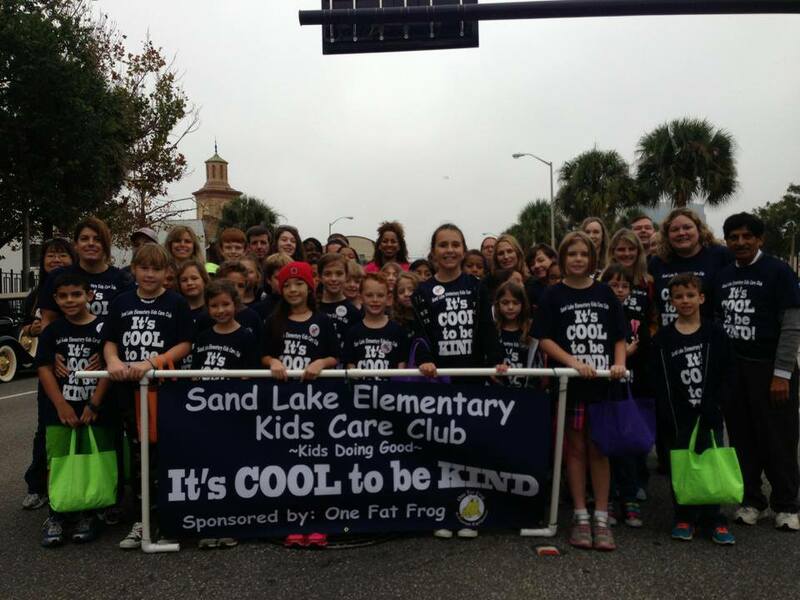 One Fat Frog is proud to sponsor Sand Lake Elementary Kids Care Club, which is a group that helps children grades three through five get involved in volunteer service. 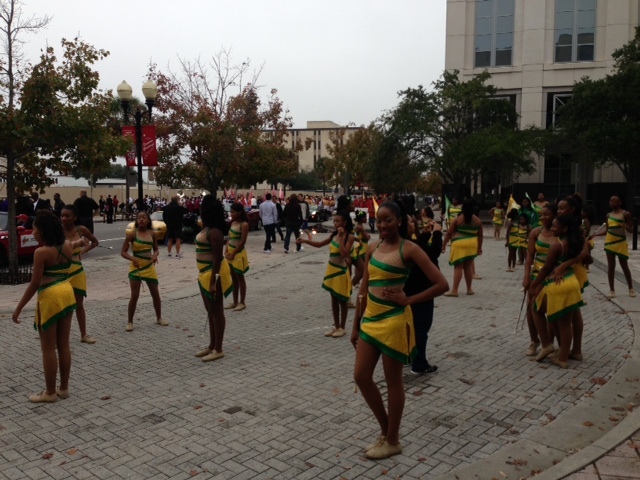 Today the Sand Lake kids marched in the Florida Citrus Parade to show off their organization and their school spirit. Here is a picture of the Sand Lake kids getting ready to march in the parade. 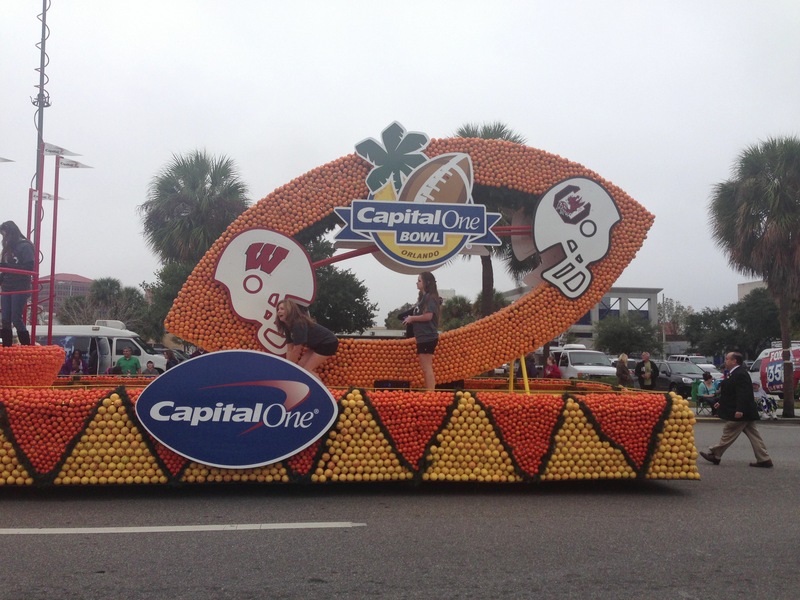 They weren’t the only high points of the Citrus Parade, though. 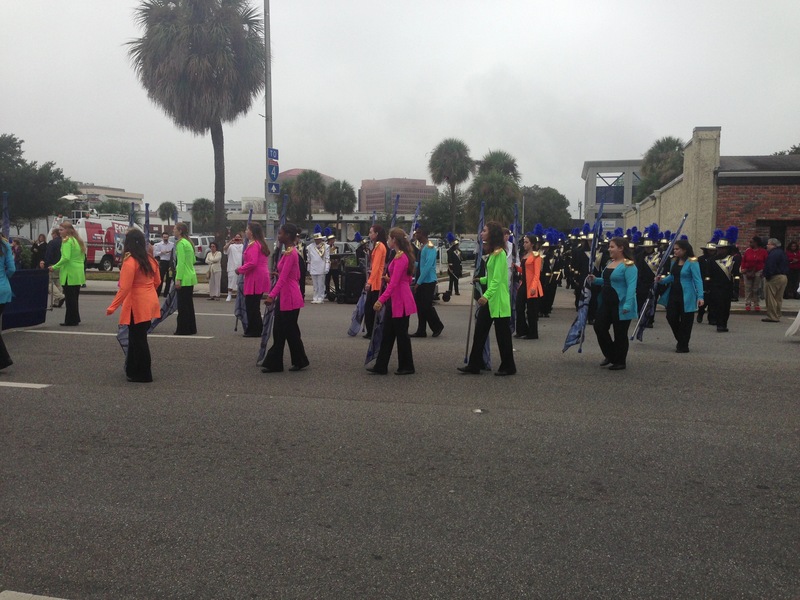 The Bunnell High band was quite impressive. One Fat Frog is not picking favorites in this game, but it’s well known that the University of Wisconsin has one of the best bands and cheerleading squads in the nation. 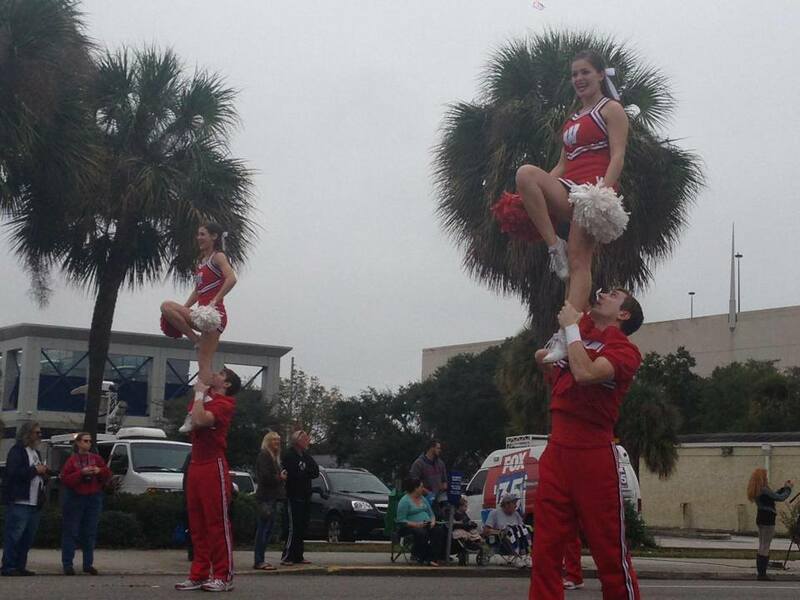 They proved it in today’s parade. Okay, I lied about one thing: One Fat Frog is totally picking favorites in this game, because South Carolina is coached by Steve Spurrier, and the Seminoles who run this company can never root for Spurrier (that’s just how it goes; Urban Meyer understands). Traffic in downtown Orlando comes to a standstill pretty often. Usually it’s a bad thing. But when it’s because streets were closed for an awesome parade, we get excited. I mean, who doesn’t love parades? 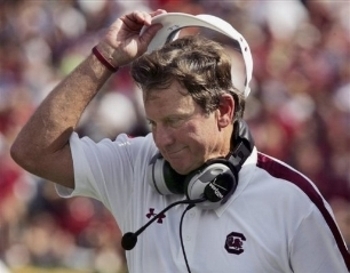 Probably Steve Spurrier doesn’t. Probably.